GlobeNewswire: TowerJazz and Newsight Imaging announced production of Newsight’s CIS chips and camera modules, customized for very high volume LiDAR and machine vision markets, combining sensors, digital algorithms and pixel array on the same chip. Newsight’s image sensor chips feature cost effectiveness, low power consumption, high performance, and analog and digital integration. The NSI3000 sensor family, currently in mass production at TowerJazz’s Migdal Haemek, Israel facility, offers extremely high sensitivity pixels, enabling the replacement of expensive CCDs in many applications and is designed for programmable high frame rate speeds, allowing better analysis and reaction to events. 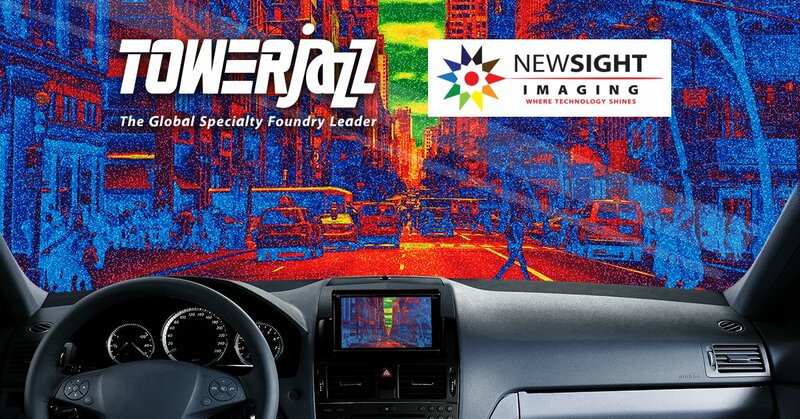 In addition, Newsight’s NSI5000, currently in development with TowerJazz at its fab in Israel, is an integrated LiDAR solution for long-range applications and includes a DSP controller which enables complex calculations for depth and machine vision. NSI5000 is used in 3D pulsed based LiDARs for automotive applications and is based on Newsight’s eTOF (enhanced time-of-flight), which bridges the gap between short-distance iTOF (indirect time-of-flight) and the long distance automotive requirement, by extending the DR while retaining high accuracy. “We chose TowerJazz for its advanced pixel technology, specially customized for our CMOS image sensor chips addressing very high volume markets. Together with our technology, we were able to demonstrate a 4X better sensitivity to our customers. TowerJazz’s CIS offering is proven in the industry and we are pleased to manufacture locally in Israel with a leader in the global analog foundry space,” said Eli Assoolin, CEO, Newsight Imaging. “With our high-end pixel offering, tailored to specific product and application needs, we are able to provide advanced technology used for high dynamic range CMOS sensors and solutions for the growing LiDAR and automotive markets. We are very happy to work closely with Newsight Imaging to provide market leading solutions and achieve quick time to market. They have shown to be an extremely fast-moving customer and we have a lot of confidence in their success,” said Avi Strum, TowerJazz SVP and GM, CMOS Image Sensor Business Unit.